Capture the thrills youngsters enjoy when racing downhill after a good push from grandma or grandpa! 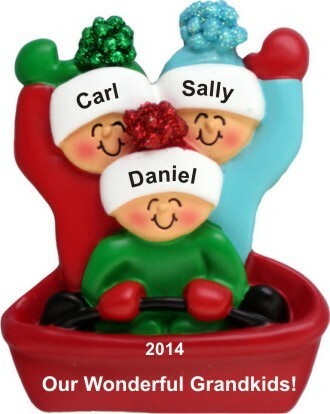 The adventures in sledding 3 grandkids personalized ornament is a wonderful gift idea for either generation. This is a personalized grandparents ornament that arrives in our plush velvet gift bag with your details added where shown. 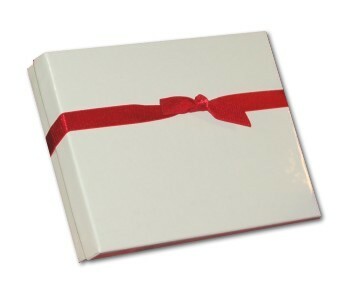 The names, year and personal sentiment will be painted on by hand in a stylish font to create a unique and memorable keepsake to be cherished through the years. The 3 grandkids sledding personalized Christmas ornament will add a bright splash of color to any holiday display as it puts smiles on faces young and old.